SHANGHAI, March 21, 2019 /PRNewswire/ -- With the development of science and technology, many high techniques and innovatively designed materials are gradually being integrated into pharmaceutical packages and drug delivery systems, and help pharmaceutical enterprises optimize administration routes and methods and improve efficacy and patient compliance. InnoPack China, hosted by China Chamber of Commerce for Import & Export of Medicines & Health Products (CCCMHPIE) and UBM EMEA and co-sponsored by Shanghai UBM Sinoexpo International Exhibition Co., Ltd. (UBM Sinoexpo), will take place on June 18-20, 2019 in Hall N5 of Shanghai New International Expo Centre, to bring innovative packaging materials and new drug delivery devices to pharmaceutical package researchers and purchasers from all over the world. InnoPack China 2019 will be held concurrently with P-MEC China 2019, bioLIVE 2019, and FDF China 2019, etc. 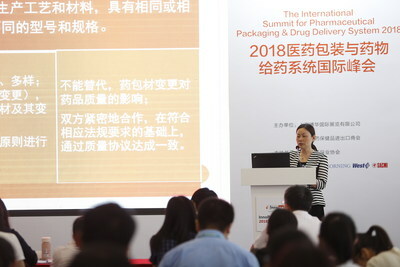 As a flagship event in the pharmaceutical packaging and drug delivery system industry of Asia-Pacific region, InnoPack China has gradually grown into the preferred platform for international enterprises to enter the Asia-Pacific market and Chinese enterprises to enter the global market by constantly strengthening overseas media publicity and cooperation with the sister exhibitions in Europe. By Feb. 2019, nearly 200 industry benchmarking enterprises from 14 countries and regions such as China, U.S., Germany, France, Switzerland, Italy, Finland, and Japan represented by Nippon, BD, Corning, Bilcare, Clariant, West, SGD, YPSOMED, CCL, UPM, Hoffmann Neopac, and Avery Dennison, etc. have confirmed their participation, which will centrally showcase the latest technologies and R&D results in the pharmaceutical packaging material and drug delivery system area and provide visitors with the latest market developments and information. According to the Global Pharmaceutical Packaging, the global pharmaceutical packaging demand is growing by 6% per year on average. Owing to the market expansion in the administration of critical care, emergency, and self-injectable parenteral medication and rapid rise of biotechnology, nanotechnology, and other advanced drug delivery technologies, prefillable syringes will post the fastest gains of any pharmaceutical container, increasing 9% per year. 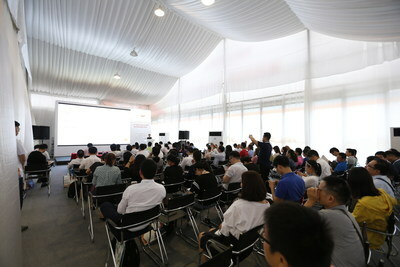 With such opportunity, The International Summit for Pharmaceutical Packaging & Drug Delivery System 2019, one of the hot summits held concurrently with the exhibition, will make "injection preparation packaging material and overall packaging design" a modular theme in the afternoon of June 19, 2019, invite authority figures from legal and regulatory departments of China, persons in charge of pharmaceutical R&D and packaging from China and overseas, and international leading suppliers to interpret on site the policy changes associated with injection preparation packaging, discuss how to optimize syringes to improve medication experiences, and share hot topics like extractables and leachables evaluation for combination products packaging. 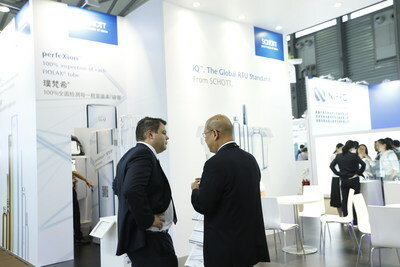 Please visit InnoPack China website: www.innopackchina.com for visit registration or more information on the exhibition. Shanghai UBM Sinoexpo International Exhibition Co.,Ltd.